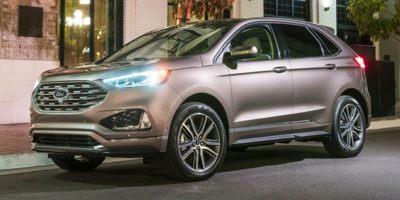 Be the first to review this 2019 Ford Edge. The IIHS gives the Edge its top "Good" rating in most of its test, but just "Acceptable" in small-overlap driver-side impacts. The Edge ST shines on curvy roads. It uses its own 20-inch wheels and tiresΓÇö21-inchers and summer tires on some editions. Sport mode stiffens the suspension adds resistance to the steering. It’s very firm, but choppy pavement doesn’t upset it.